SKU: 382-2111. 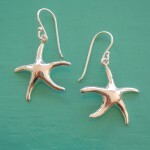 Categories: Bracelets, Silver Sealife. 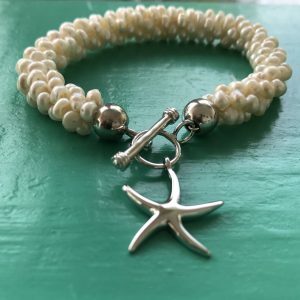 Tag: Pearl Bracelet with Sterling Silver Starfish Charm. Pearl Bracelet with Sterling Silver Starfish Charm. Beautifully elegant, classy and fashionable. 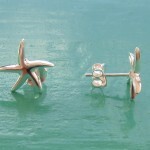 Handmade with freshwater Seed Pearls with Sterling Silver bar hook clasp. 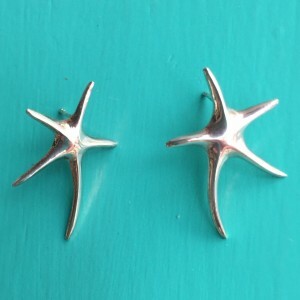 With the added touch of a Sterling Silver Starfish Charm to give it a hint of sparkle that us girls love. A seed pearl is a small natural pearl, formed in either a saltwater oyster or freshwater mussel, that is usually less than 2mm in diameter. Clustered together they make a stunning bracelet. The perfect gift that any woman will love. 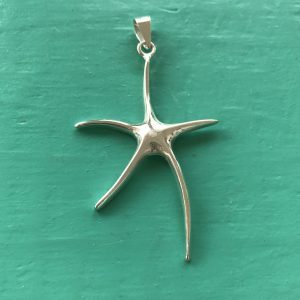 Can be teamed up with any of our Sterling Silver Starfish Pendants and Earrings – a beautiful complete set for the woman you love.